The human voyage from earth to the moon was an audacious and bold gambit and the Apollo missions’ track record is laudable. Join us at this extraordinary gathering and hear first-hand from some of the legends who made going to the moon possible. 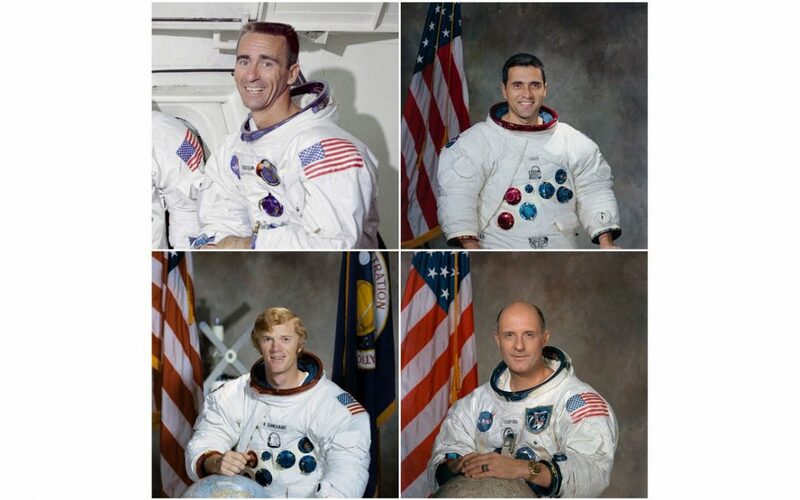 Drumroll, please…We are excited to announce the following Apollo-era astronauts that will be attending the 2018 Apollo Celebration Gala. The final line-up will be released in July. Walt Cunningham was selected for the third class of astronauts in 1963. He served as prime crew for Apollo 2, prior to its cancellation, and as the backup Lunar Module Pilot for Apollo 1. Cunningham piloted Apollo 7 in 1968, the first manned flight test of the third generation U.S. spacecraft. Jack Schmitt was selected as a scientist-astronaut by NASA in 1965. Schmitt flew aboard Apollo 17, the last Apollo mission to the moon, as the lunar module pilot. The Apollo 17 crew broke several records during this flight including longest lunar surface extravehicular activities, longest manned lunar landing flight and longest time in orbit. Rusty Schweickart started his career for NASA in 1963. Schweickart piloted Apollo 9, the third manned flight of the Apollo program and the first manned flight of the lunar module. On this flight, he completed a 46-minute EVA. Schweickart served as the backup commander for the first Skylab mission and received the NASA Exceptional Service Medal for his leading role in assisting to save the mission after its thermal shield was destroyed. General Tom Stafford, veteran of four spaceflights, started his career with NASA in 1962. He successfully completed the first rendezvous in space aboard Gemini 6, demonstrated a rendezvous that would later be used Apollo flights on Gemini 9, commanded Apollo 10 and the first flight of the lunar module, and commander of the Apollo-Soyuz Test Project, the historic first meeting of Americans and Russians in space ending the International Space Race. Apollo Flight Director, Gerry Griffin, will also be in attendance. Griffin joined NASA as a flight controller in Mission Control for Project Gemini and the early unmanned missions of the Apollo Program. Prior to the first manned Apollo mission, Apollo 7, Griffin was selected as a flight director and served in that position throughout the remainder of the Apollo program. Limited tickets still available but there is no time to waste in guaranteeing your place in space history.